If you’re reading this, it probably means you’re on board with replacing yourself in your business by outsourcing to the Philippines. This is the best decision you’ve made for your business. The right place to get started is at onlinejobs.ph. Here, you’ll find more than 150,000 resumes and profiles of Filipinos who are ready and eager to take on the everyday tasks of your business. How do you know which of these many workers are right for you and your business? Like any other business, you evaluate which have the skills and attitude that best suit your needs. You do this through an interview process. Only ours is a little different. It’s sort of like “The Voice”. You base them on their skills, portfolio and trial results before you even get to speak with them. Because you’re hiring a virtual assistant, you won’t interview candidates face to face. This presents challenges, but there are effective ways to make sure your new virtual assistant is fit and ready to tackle anything you’ve got for them. First, visit onlinejobs.ph and search for candidates based on the skills and experience you’re looking for. The website allows you to customize your search and select applicable skills, talents and areas of expertise. You can select and de-select criteria as you need to. More than likely, your search will lead you to several worthy-looking candidates. This is perfectly fine; in fact, you don’t want to limit yourself to just one prospect initially. Pick between 10 and 30 candidates you feel meet your needs and choose from this pool. Yes, I would love a rockstar virtual assistant please. After you post a job on onlinejobs.ph, interested prospects will begin responding to you. 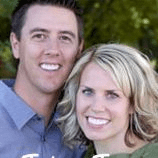 You can then review these candidates’ profiles and resumes on the site. As you narrow down the responding candidates that most intrigue you, send out an email that acknowledges that you have received their inquiry and that you believe they may be a good fit for the job. Your email should be short, simple and to the point. Don’t waste time on fluff or unnecessary details. Mention or reiterate that you want to hire someone to fulfill a specific task. It’s important to stick to one thing here; don’t make a long list of duties. Wrap up your email by confirming that the candidate is still indeed looking for a job. It’s possible that in the time between the posting and you making contact that the person has found other work. Personalize your message and point out specific skills and attributes you found appealing about the person. You should begin getting some responses to your initial emails shortly after sending them. Once you do, you can begin “interviewing” these people. Send more emails and ask specific questions and give basic instructions. Have the candidates send you a link to their profile on onlinejobs.ph or ask them questions about themselves or about their skills and experience. By doing this, you’ll get a sense of the candidates’ ability to follow simple directions or follow through with basic tasks. If the candidates can’t manage to do what you’ve asked in the way you’ve asked it, or if their answers contradict what’s on their resume or profile, you can bet they’ve been less than truthful in what they’ve put on onlinejobs.ph. You’ll also have a reason to worry about their ability to work with you. It’s best to send multiple emails to the top candidates, even up to 10 if think that’s best. By sending a bunch of different messages, you’ll not only assess skills and comprehension, but you’ll find out how well they communicate in English. In the Philippines, English is considered the official language (along with Filipino), but some Filipinos speak and write it better than others. In your business, it’s essential that your virtual assistants have good English skills. Their responses to your emails show you whether there will be a language barrier of if their English is virtually as good as yours. No sir, everything’s fine sir. I’m just very very shy. It isn’t necessarily a bad thing to conduct an interview by using Skype, but there are some drawbacks to be aware of. By nature, Filipinos are shy and prefer not to chat face to face. So, if you require a Skype interview, you’re likely to lose some potential candidates. This is especially true for positions that won’t require a lot of speaking, such as that of programmer, designer or webmaster. A good rule of thumb is to only have Skype interviews for positions where speaking will be a big part of the job. This way, you’ll be able to tell pretty quickly how well the candidate can speak English and whether this is going to be a barrier to success in the job. Do you already have another job? If so, where are you working and how many hours are you working? How much money are you looking to make? Have you worked for foreign employers before? How long have you been doing (state type of work you’re hiring for) work? Please send me a link to your onlinejobs.ph profile. Please send me three references and examples of your best work. Please write a paragraph of why I should hire you. Don’t send a list of your experience; describe it to me. Do you have your own computer and Internet access? If you have access, how fast is your connection? Will you work from home or from an Internet café? Where are you in the Philippines? After a handful of rounds of emails, you’ll know what candidate is right. Then, it’ll be time to offer them a job. 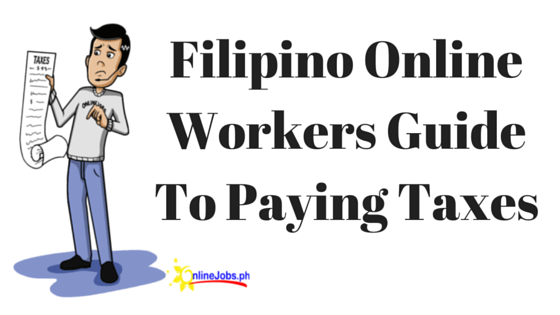 This is exciting for the Filipino worker and for you. It’s important that when you extend the offer that you make the conditions and expectations for employment clear. Tell the worker how many hours per week they’ll be working, what their starting pay will be, how often they will be paid, how much time off they can take, and that you’ll need them to send daily email updates of what they’ve been working on and what questions they have. I can’t emphasize enough how crucial it is that you are specific and clear about these things. Also—and this is also very important—drill into your new VA that you need them to not be afraid of asking for help and to be willing to ask questions if they run into a snag with a project. Unfortunately, sometimes Filipino workers “disappear” when they have problems with an assignment. Instead of telling you about these problems, they’ll be embarrassed or afraid you’ll be mad, and they’ll stop sending you updates. Sometimes they’ll quit working altogether without giving you any notice. Make it clear to the new hire that you’re more than willing to lend a hand when challenges come up and that disappearing is not an option. Finding candidates and hiring the best talent isn’t always easy. The good thing is, Filipinos are loyal and dedicated; once they start working for you, they’re likely to stick around for years and years. When you do have to find and hire, follow these easy steps, and you can’t go wrong. He currently employs 14 amazing Filipino workers full-time and loves every one of them. He lives in Utah, has a wonderful wife, 4 amazing kids, and golfs 4-5 times/week. to know their traits, be it positive and negative. Defining us is what our culture is, loyal, pleaser, shy but some are aggressive (due to some exposure) but willing to be competitive to alleviate the lives of our family. We are family oriented people, as part of our culture. Thank you to all who wants to help us by giving us work and projects to earn and learn from. Good job here Ms. Romana! Congrats! It was great to add these questions; I added them to our interview template. Can you explain why it’s important to know where they are in the Philippines? Im jessica soriano applying for any position regarding data entry or a virtual assistant.To tell the truth im new to this field, i have work experience as customer service representative at the same time cashier in small grocery business last 2011, my previous work is as sales clerk last 2016. I hope you we can communicate. I will do my best to do what ever task you will given to me, im am dedicate. Thank you and Gob bless..